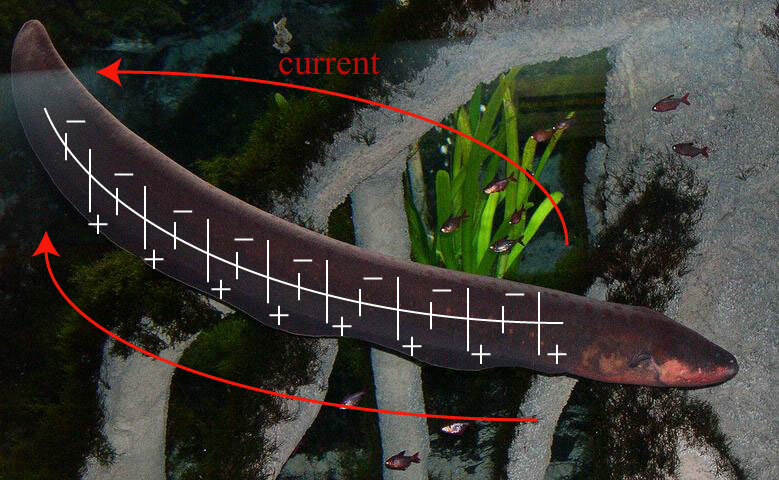 Mergify: How does electric eel produce electricity? Any living being in this world has threat from other living beings in one form or the other. So mother nature has provided every organism with some defence mechanism. Some are so peculiar that we develop interest to know about them. One such organism is an Electric Eel(Electrophorus) -a blind, superficially eel-fish which grows to a length of about eight feet, and is almost as thick as a man's thigh and lives in a shallow muddy parts of the Amazon and other South American rivers. This particular animal(fish) produces electricity of pretty large value. This production of electricity not only frightens its enemy but is also helpful in catching its prey. On land, Electrophorus can discharge about 500 volts. In water the charge is partially short-circuited and the shock is about 250 volts, but still sufficiently strong to cause great discomfort to man or to activate an electric buzzer. 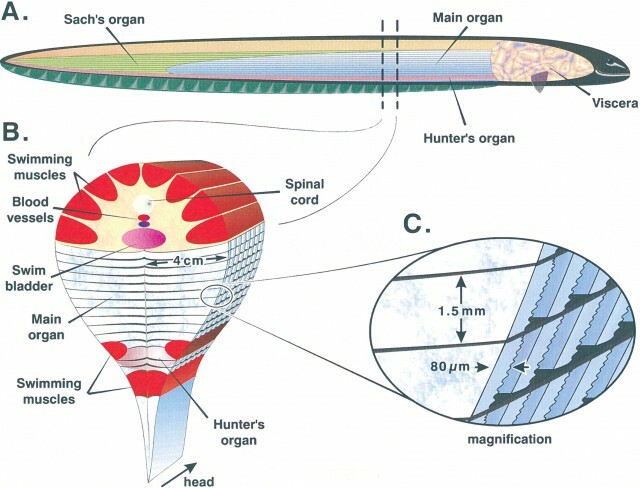 The electric organ consists of some seventy columns, each of which contain a series of about 600 disc-shaped syncytial electroplaxes(Electroplate cells). The cells are probably formed from striated muscle-cells and together constitute a jelly like mass located in the postero-ventral four-fifth of the body and tail. Each electroplate is innervated and shocks are normally transmitted only when the fish is molested or when it comes within the range of its prey, which is stunned and then swallowed whole. These fishes that can generate high voltages have protective insulation around their own nervous system, shielding them from damage. Since its prey would be many times smaller than it, the shock it produces is enough to surprise and make them still. Though its shock lasts just for some milliseconds, I suggest you don't mess up with it.